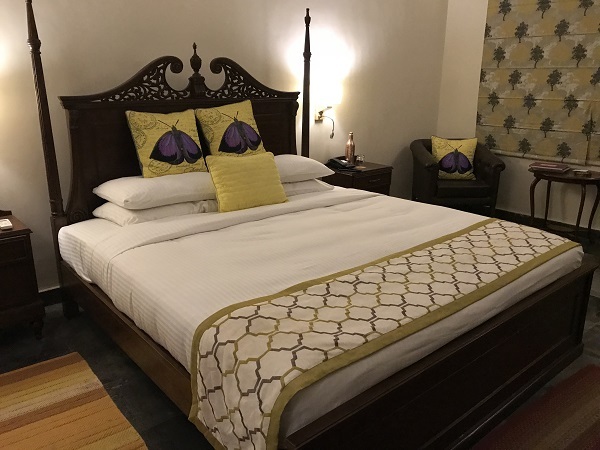 Adjacent to the Kanha National Park, Madhya Pradesh, the Singinawa Jungle Lodge is a premiere wildlife resort in the area and has an excellent reputation for splendid hospitality, a great eye for detail and delicious food. 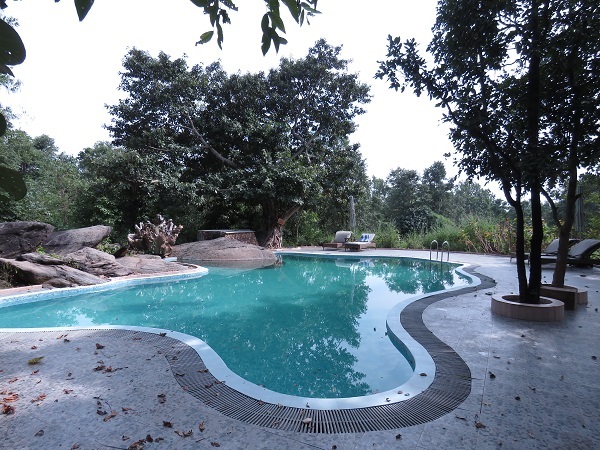 It is located in the heart of one of the best national parks in India. The resort is 110 acres in size, 55 acres of which have been preserved and regrown in order to maintain its natural beauty and diversity. The lodge feels akin to an extension of the wilderness. The national park itself is estimated at 940 sq. kms and holds a considerable population of species such as the Royal Bengal Tiger, Indian leopard, Swamp Deer, Foxes, Sloth Bears, Wild Cats, Jackals and more. It is an exciting destination for wildlife lovers. Singinawa Jungle Lodge also houses a slew of expert naturalists who are completely well equipped with the latest knowledge of the national park. Guests can rest assured that their guides will provide enlightening insights about the area’s wildlife. 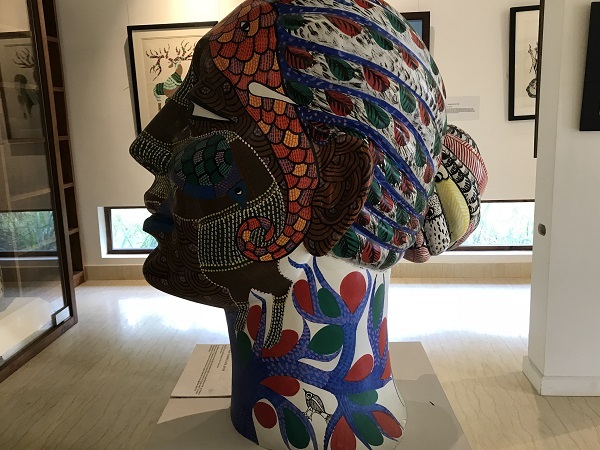 A unique feature of this resort is the in-house Kanha Museum of Life & Art that is primarily dedicated to highlighting art pieces of the indigenous Gond and Baiga trives. 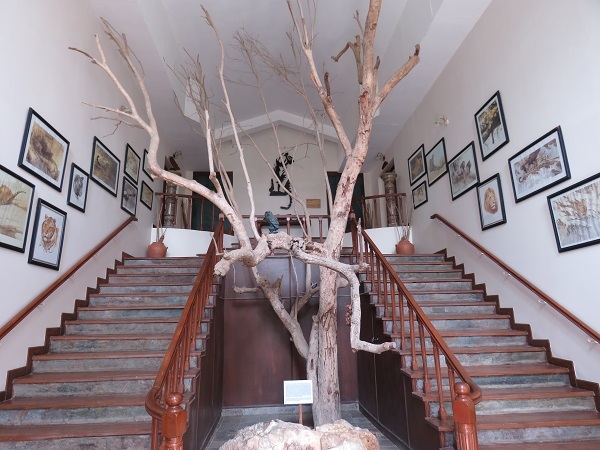 The 1,000 square foot museum pays tribute to these tribes in a lovely manner while wholesomely blending in with the rustic feel of the resort. 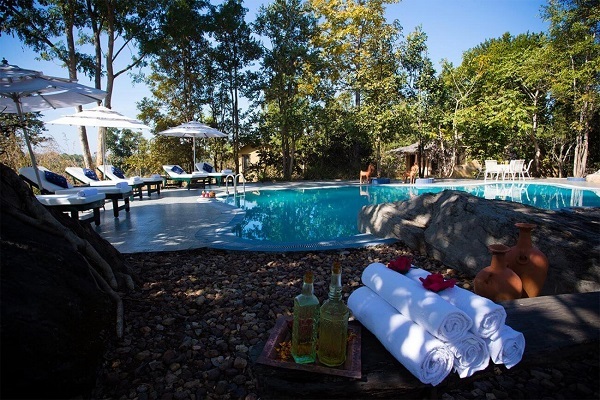 Accommodation: This premium Jungle Lodge has 12 cottages and two bungalows. One bungalow has four bedrooms, while the other has two bedrooms. 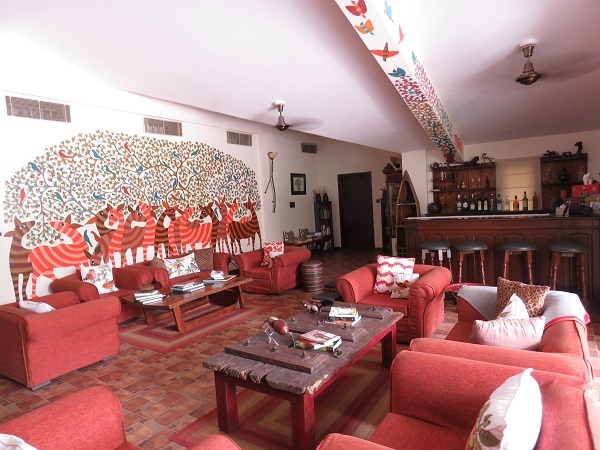 Therefore, there are a total of 18 living units in the lodge. Considering that that the lodge is 110 acres, it is incredibly spacious and guests are given the perfect location to relax. Each of the living units are completely furnished with state-of-the-art facilities. The 12 cottages are created using slate and stone and are perfectly secluded. The bedrooms are large and include attached bathrooms with rain showers. They also include private verandas. These cottages feature a cosy fireplace, workstation, comfortable lounger chairs, tea and coffee makers and a mini bar. 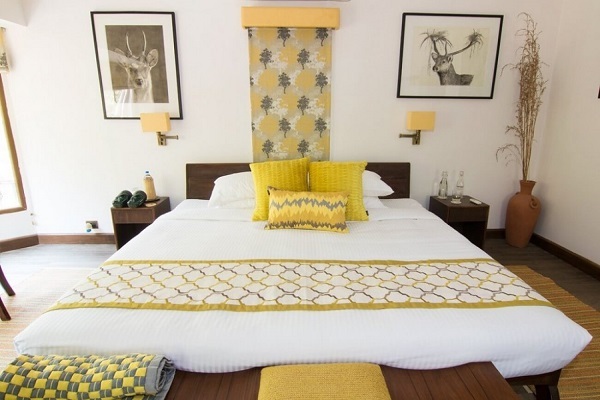 The Perch Bungalow includes two master bedrooms that are interconnected with another two double bedrooms – each having their own attached bathrooms. 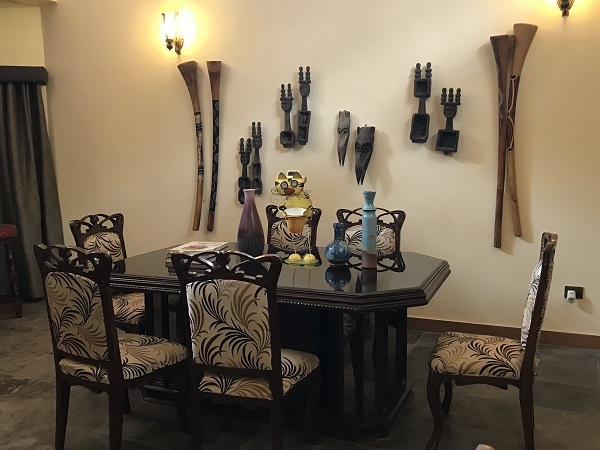 The key point of this Bungalow is a central lounge that is also a dining room and library and the common area between all four rooms. If guests require, they can ask for a chef and butler services. The Wildernest is a bungalow that has two rooms. Therefore it would be great for a family of four, or two couples who have come together. 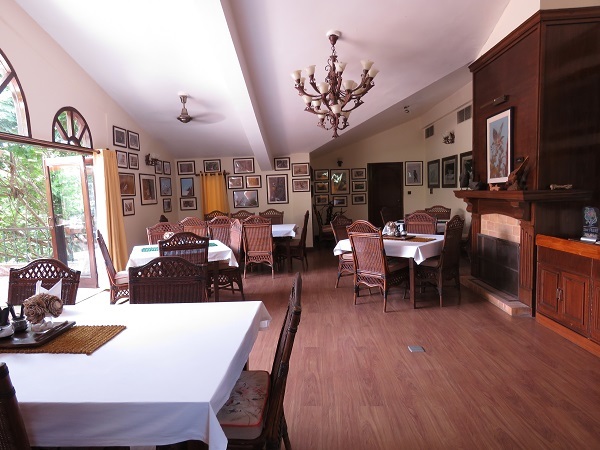 There is a common lounge, dining room and has facilities similar to the other rooms in the lodge. Dining and Wellness: Guests can choose from multiple locations to dine in, within the resort. The Al-fresco experiences are a must. 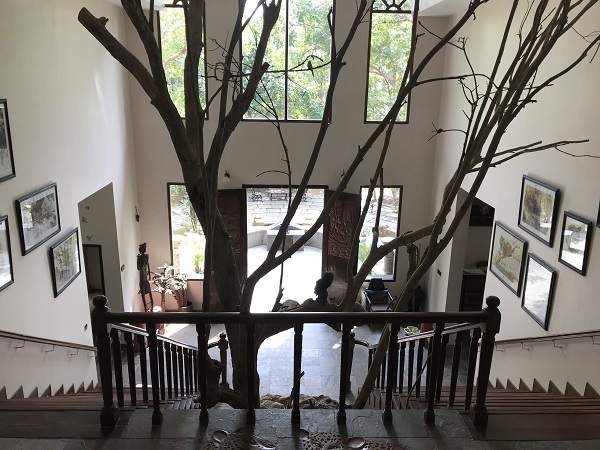 Unique dinging venues in the resort include sitting under a giant Sal tree in the open courtyard, or next to a vivacious bonfire. 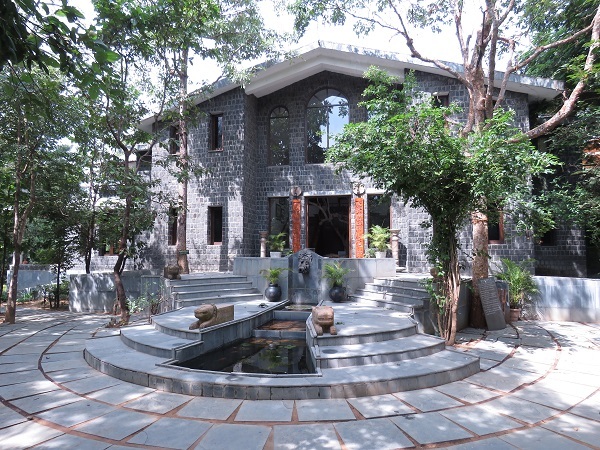 The Meadow Spa offers holistic Indian and Oriental treatments. The spa is perfect for guests who wish to relax and unwind in a luxurious setting. Access: The Nearest airport is Jabalpur at a distance of 205 kms (a 3 hour 30 minute drive). Gondia station is the closest rail head, from which Singinawa Jungle Lodge is at a distance of 120 kms (2 hour journey by road). 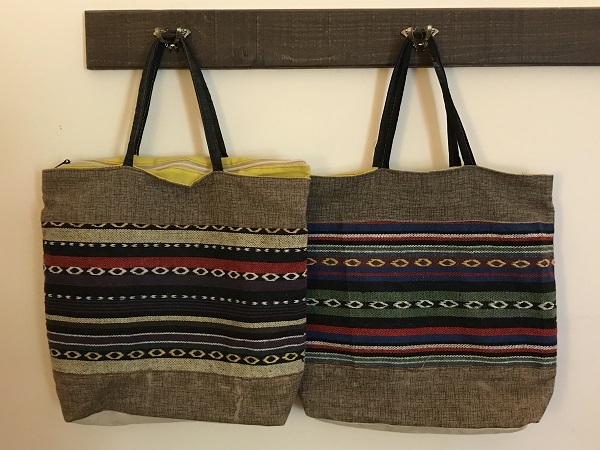 ‘Must do’ activities: Outdoor activity seekers can partake in photography tours, nature walks, tribal art tours, birding walks, visiting the farm that provides supplies to the resort and tribal dwellings, visit the Phen National Park, special trails, and trails that are made just for kids. The lodge has exciting bicycle tours with knowledgeable naturalists who entice the guests with their amazing story-telling. There a number of local CSR efforts being made by the lodge for which the guests can volunteer. 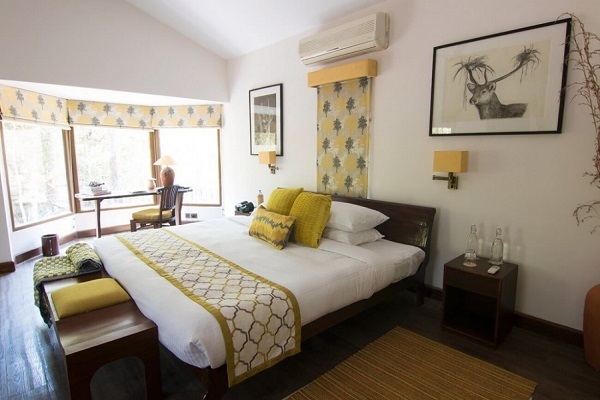 There is plenty to do within the lodge for guests that are looking for a more laid-back experience such as relaxing at the meadow spa, taking afternoon, visiting the in-house Kanha museum or simply sitting in the veranda.